Arrr! Get your stomp on! 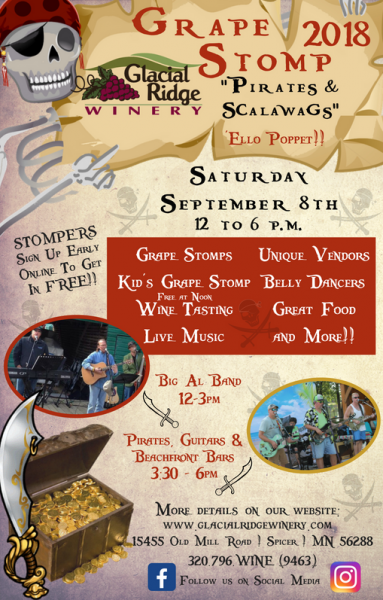 Pirates and Scalawags is our theme for our 2018 Grape Stomp! 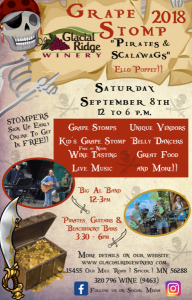 Join us for a fantastic day of grape stomps, wine tastings, live entertainment, great food, unique vendors and more! Grape Stomp Teams are $40.00 per team (includes t-shirt for each team member) Sign Up Form is on their website!